Hazsigns is a privately owned Australian company founded in 2001. The company operates out of Melbourne and was formed to accommodate the need for a specialist supplier in the dangerous goods signage for transport, chemical and associated businesses. Our clientele has grown to include many of Australia's leading transport, logistics and chemical companies as well as many small business' and one off customers. We have diversified into the education and government environments as well as police and insurance companies. Our growth objectives have continually been exceeded by our high level of customer service and commitment to continuous improvement. The application of state of the art equipment and resources and the commitment of our staff meet today's challenges. 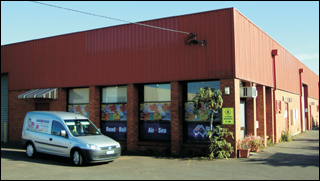 Based in Melbourne we offer same day dispatch and we deliver to all parts of Australia.